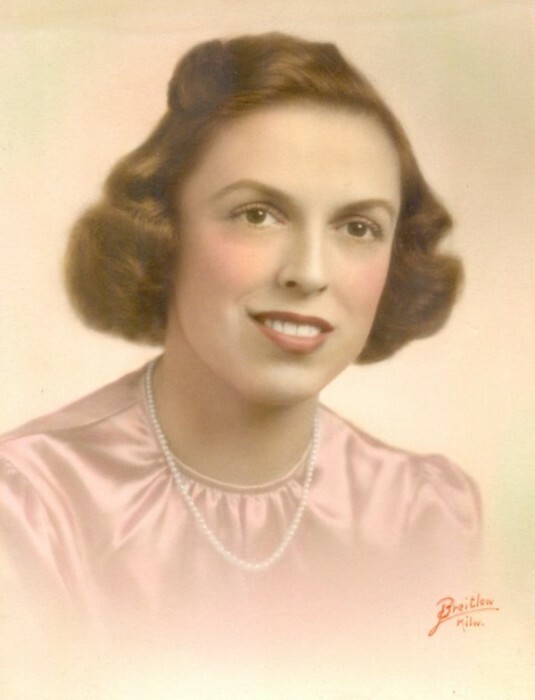 Jane M. Kerr, aged 97 of Grand Rapids went to be with the Lord on Tuesday, September 11, 2018. She was preceded in death by her husband Raymond in 2004 and son Randall in 1955. Jane is survived by three daughters, Jeanne Kerr, Karen (Douglas) VanderLaan, Diane Bailey; son Richard Kerr, three grandchildren; four great grandchildren; several nieces, nephews and cousins. Jane retired from Rosepatch Label. She was a lifetime member of St. James Lutheran Church, 2040 Oakwood Ave NE, Grand Rapids, MI 49505. A memorial service will be held at the church on September 21, 2018 at 11:00 a.m. Lunch will follow.